Labor Day is a good time to start learning to “lean in,” ladies. No question, working women today have it better than ever before. In the 50 years since these sexist children’s schoolbook illustrations were published, women have made great leaps into the workforce. Yet 50 years since the passage of the Equal Pay Act a gender wage gap still exists. Women in the US are paid on average 77 cents for every dollar paid to men. 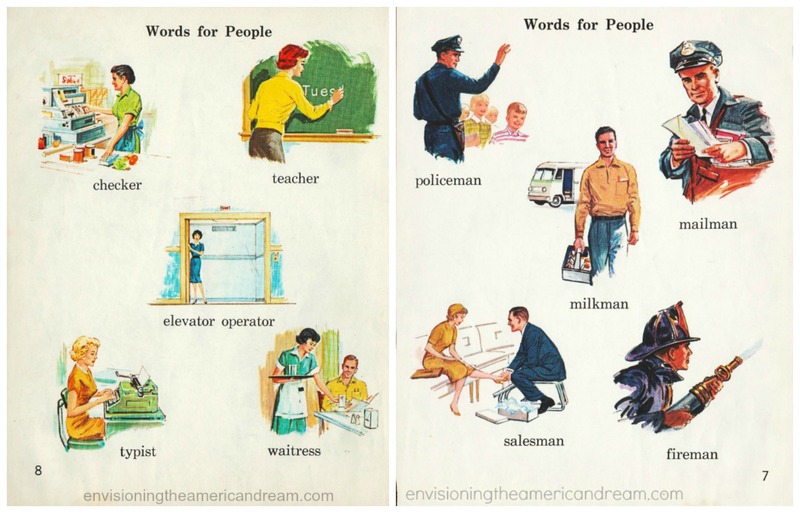 The idea of a gender based wage gap seems as laughable and antiquated as these vintage school book illustrations.